Hide.Me is a virtual private network (VPN) created by an international team of IT experts who had initially worked as security experts for governments and multinationals. Now the same online privacy these governments and corporations have enjoyed for years is available to the individual consumer. 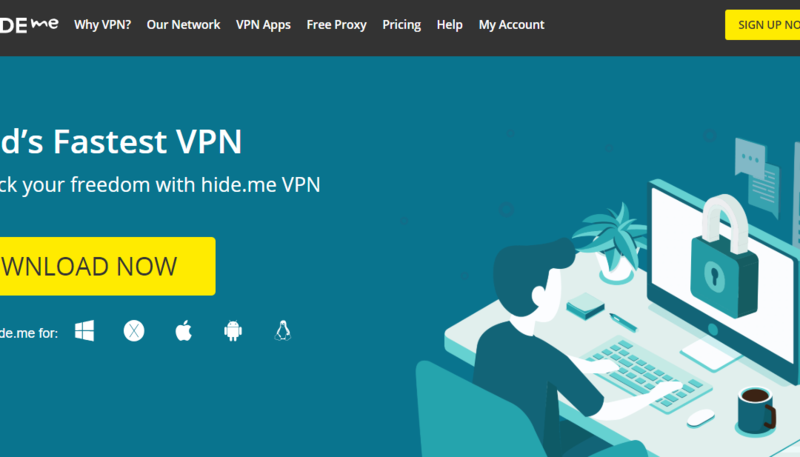 Hide.Me is one of the better VPNs available today. Moreover, the company is based in Malaysia, and although this may seem inconsequential it’s actually a very clever move. Unlike many other countries, Malaysia is not required to log the online activity of its users. As a result, if you use Hide.Me you can truly enjoy anonymity when you surf the internet. You can be in China with an IP address located in California. As is the case with the majority of VPN services, Hide.Me has three basic packages, with an option to pay less per month is users pay for several months at a time. Free – The free Hide.Me package gives the user 2 GB of data transfer, a simultaneous connection and limited protocol support. Plus – This package comes with unlimited bandwidth, 75 GB of data transfer, a simultaneous connection and full protocol support. Premium – The premium package contains the same perks as the plus package with the added bonus of unlimited data transfer, 5 simultaneous connections and port forwarding. The Plus package costs $5.41 per month, and the Premium package costs $11.66 per month. 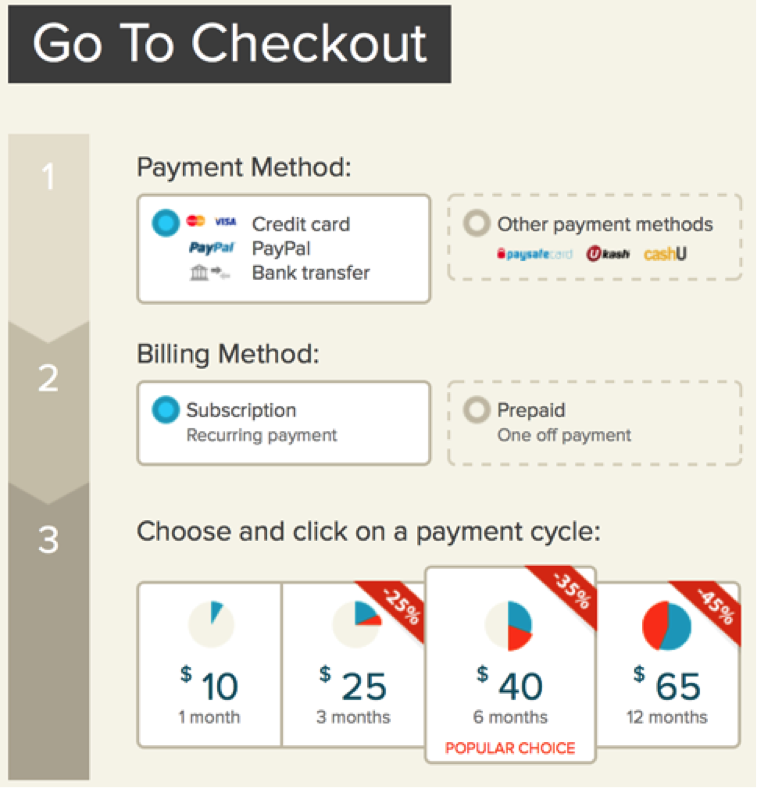 Users can pay with a major credit card or PayPal. Hide.Me has an FAQ section and online forums where users can post questions and give answers to each other. If after checking out the FAQ your problem is still not resolved then you have the option of sending a ticket via email. To test the response time, we sent a ticket and received a quick, accurate response. If we had to criticize anything about the customer support at Hide.Me, it would be that perhaps their FAQ could be a little more complete. When it comes to online privacy and security, Hide.Me is one of the leaders in the world of VPNs. One of the company’s guiding principles is that security and privacy are basic rights. Depending on what you’re willing to pay, you have access to VPN protocols such as PPTP, L2TP, IPSec, OpenVPN and SOCK, and Hide.Me is a step ahead of competing VPN services being the only one supporting IKEv2. Hide.Me has carefully selected servers in locations that give their subscribers the highest speeds possible. Moreover, you have a new IP address each time you log on to the net through the VPN in order to more effectively conceal your identity. The Hide.Me website is well designed and user friendly. Packages and pricing are explained clearly, with no surprises in store once you hand over your money leaving no question to what you will get for your money. Signing up for VPN service with Hide.Me is an easy process as all the prompts and directions are clear. All you need to register is an email address, that’s all you’ll be asked for. There is some software you will need to download and install after you’re signed up, and then you’re ready to start using the VPN. Connecting to the internet with Hide.Me protects you from data mining, prying eyes and hackers. Additionally, you can access sites that would otherwise be blocked in your country. Hide.me is supported by a number of devices including desktop PC and MAC as well as smart phones such as Android Devices and tablets. Hide.Me is a great service among available VPN providers. With a background in providing infrastructure to government services, we believe Hide.me has a great foundation to continue to grow and become one of the leading VPN service providers in the industry.